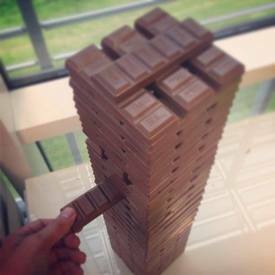 In this game you play normal jenga but when you take one out, you can eat it. BUT only if you answer a trivia question right. If not, you have to put the chocolate back on the top of the tower. Who wants to play?